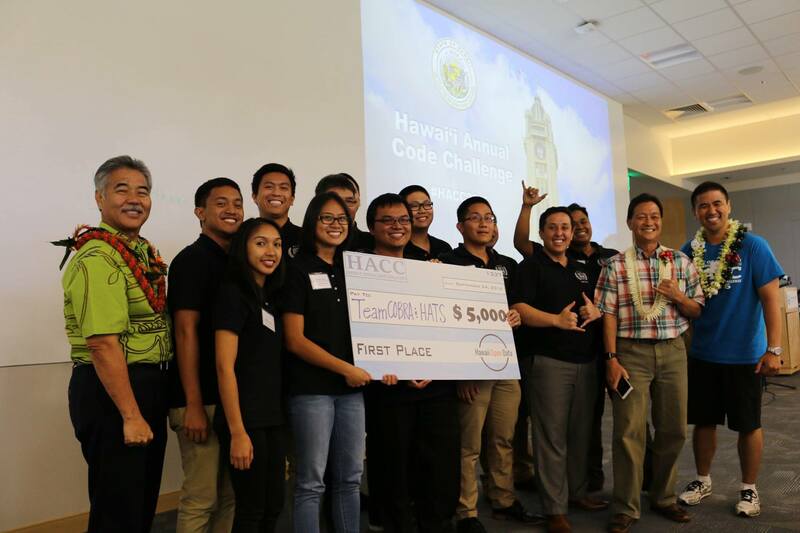 Solutions tackling state challenges involving homelessness and jail facility visitation received top honors at the Hawai‘i Annual Code Challenge (HACC) Judging and Awards Ceremony, held on Saturday, September 24, 2016 at the Aloha Tower Marketplace. The event was the culmination of the month-long, hackathon-inspired competition designed to engage the local tech community in the modernization of Hawai‘i state government. Students from Honolulu Community College’s Computing, Electronics, Networking Technology (CENT) competed as the Hawai‘i Advanced Technology Society (HATS) tied for 1st place in the competition. The HATS team received $5,000 and has the opportunity to interview with Blue Startups and XLR8UH. HATS team with Gov. Ige. “Many of our students put an average of 30 hours into the project, with key contributors putting an upwards of 60-80 hours over the course of the last three weeks. We came together as a team to implement and interface three different components of the project to fit the O‘ahu Community Correctional Center Visitation Scheduling’s business needs,” Jayson Hayworth, Lead Project Manager for HATS. 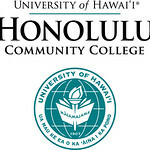 HATS was formed by Honolulu Community College’s CENT program students. Currently, the group is comprised of students from both the CENT and the Information Security and Assurance program at the University of Hawai‘i West O’ahu. 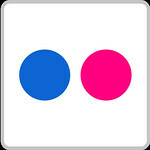 The HACC is the result of collaboration across public and private sectors.